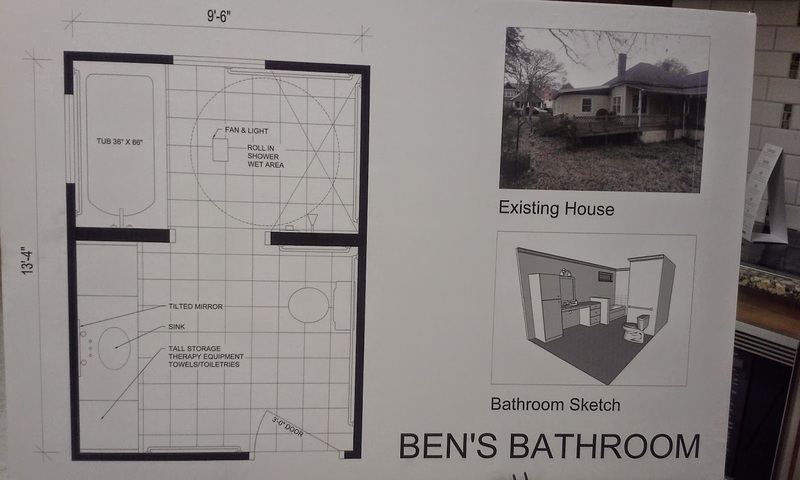 Rebuilding Together Charlotte and NARI (National Association of the Remodeling Industry) are partnering to build Ben the accessible bathroom he needs. We are very excited to see this project finally come to fruition, and we feel fortunate that these two organizations are coordinating their efforts to make it happen. This is a big project on an old house (99 years) and requires special care, expert advice and quality workmanship. These photos are from last week's NARI meeting. A table was setup for contractors and other companies to sign-up to help with specific aspects of the bathroom construction. By the end of the evening, a variety of companies volunteered to donate labor and materials. 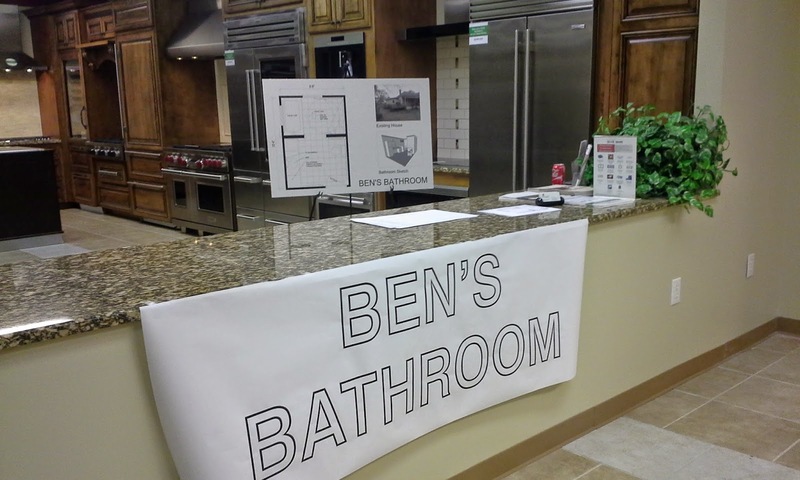 It is a good thing I was not there to see people signing up to help with Ben's Bathroom. 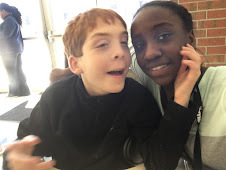 Just seeing the photo above sent to me after the event, brought tears to my eyes.